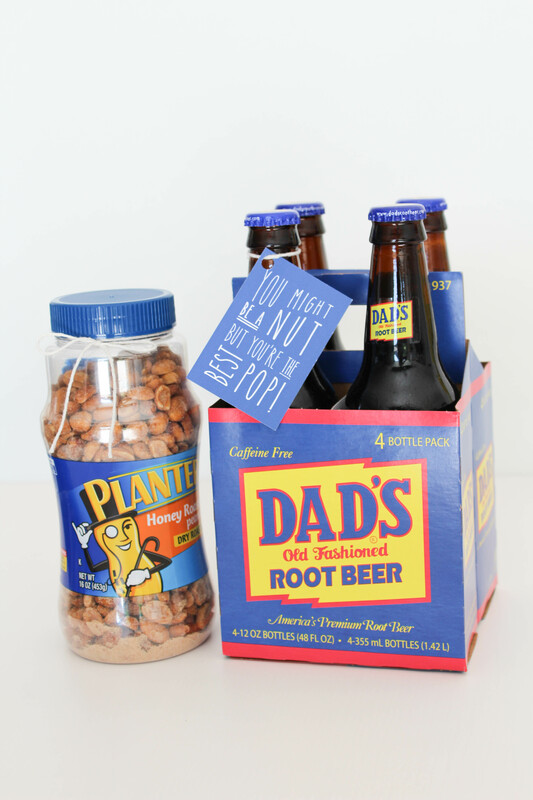 Root beer and peanuts go together like apples and cinnamon, Sonny and Cher, or peanut butter and jelly. I know my husband has already called dibs on both, so I know that this little duo is a total winner! 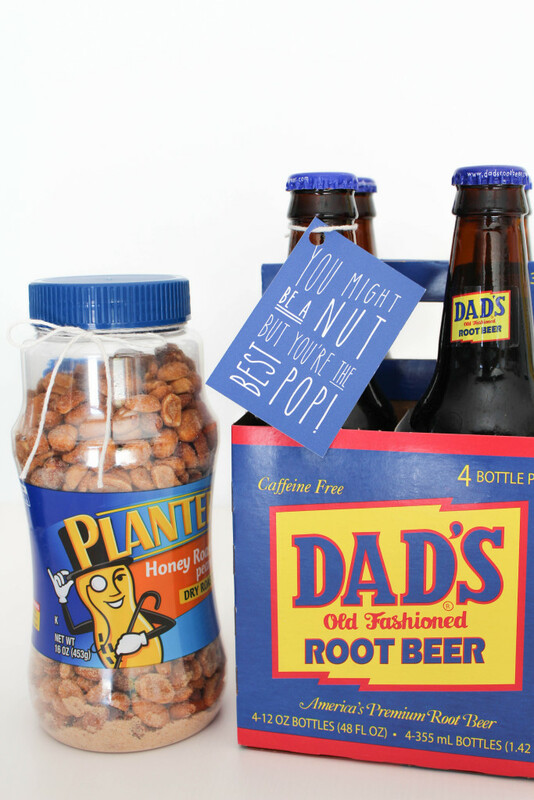 And if you pick up a pack of root beer that also happens to be the “Dad’s” brand…you’re coming out even farther ahead. 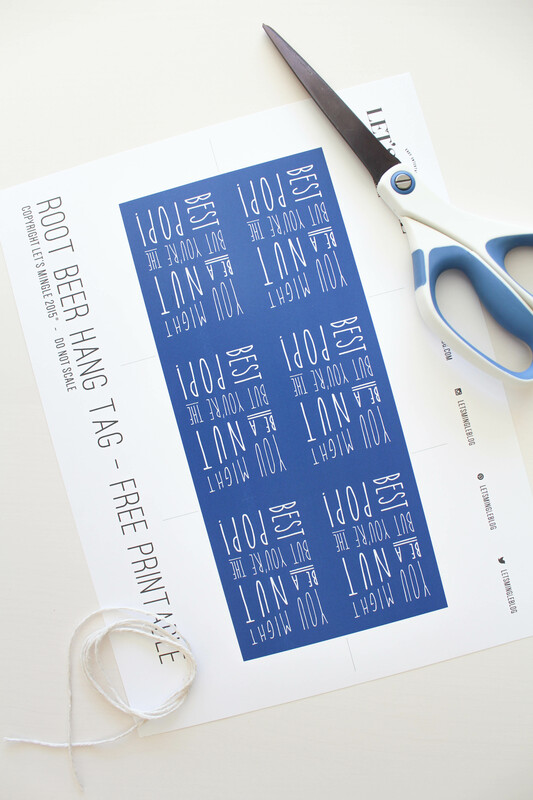 All you need to do is download the printable file. 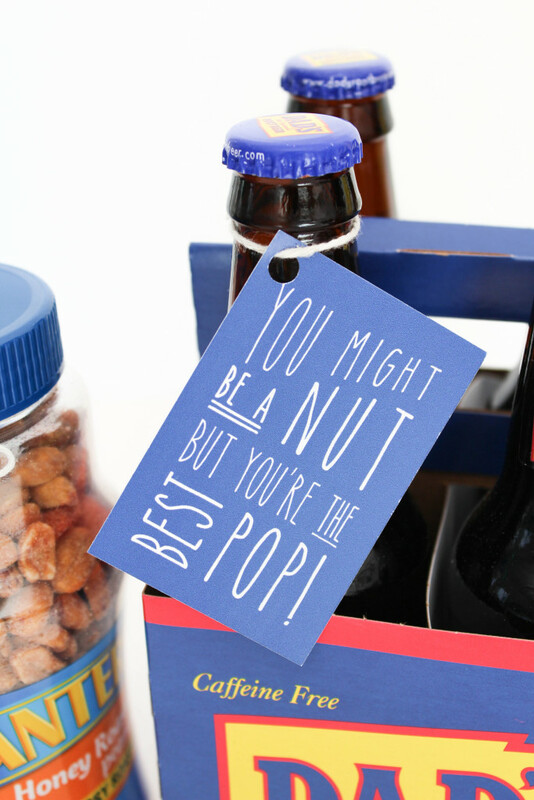 Cut them out, punch a hole in the corner for your string, and hang around your root beer bottles. It’s so simple! 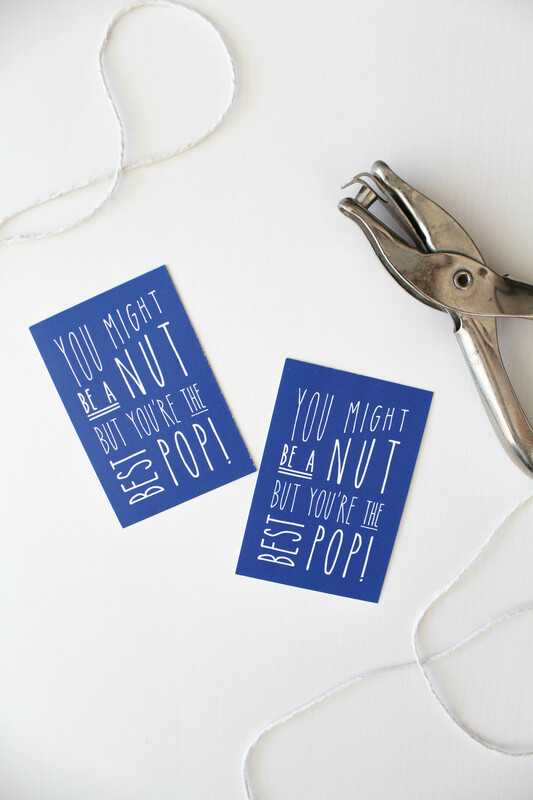 (I used cotton twine to hang mine, but any ribbon or twine will do). 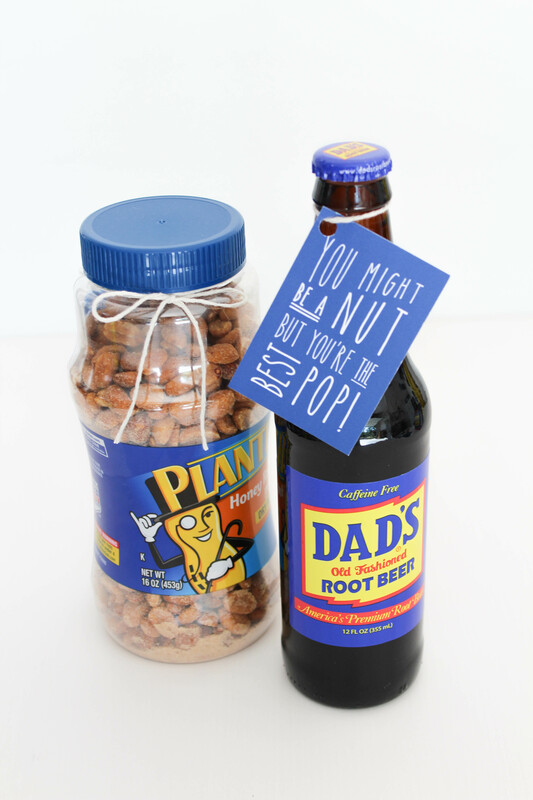 You can use any of their favorite soda and nuts combination too!